Buy NerdyTeachers a Coffee. ko-fi.com/nerdyteachers - Ko-fi ❤️ Where creators get paid by fans, with a 'Buy Me a Coffee' button. Hi! 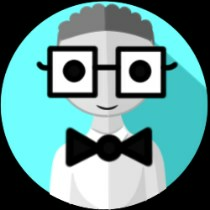 We run a free education based website and create content, including a Youtube channel, for students and teachers to learn and share various nerdy subjects such as coding, games, art, and more! Welcome! If you want to keep us focused on making more content, consider buying us a coffee! It will keep us motivated too! You can even nudge us to make more of the content you prefer! Thank you for the support. Secured Payments. Support goes to NerdyTeachers's account. Upgrade NerdyTeachers to a yearly Gold Membership with a one-time payment.